With the meeting between Russian President Vladimir Putin and his US counterpart Donald Trump due to take place in Hamburg later on Friday, Sputnik looks into what may be high on the agenda of their talks. 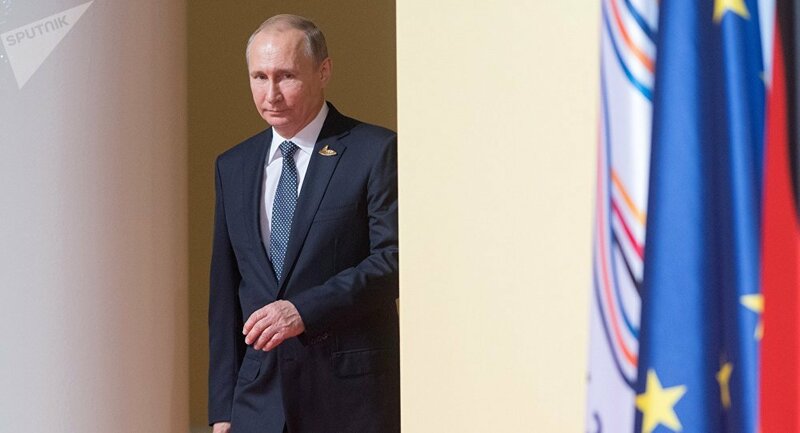 The meeting between Russian President Vladimir Putin and his US counterpart Donald Trump on the sidelines of G20 Summit in Hamburg is scheduled for 13:45 GMT (16:45 Moscow time) on Friday. It will be the first time the two leaders meet in person. Trump has already met the leaders of several dozen countries, but his first personal meeting with the Russian President will happen only now, six months after Trump's inauguration. Part of the blame for this can be attributed to the pressure exerted on Trump by the anti-Russian faction of the American establishment, which accuses Moscow of having interfered in the 2016 US presidential elections – something that Trump has to reckon with. During Trump's pre-election campaign, his promises included establishing relations with Russia and resuming a dialogue. However, all this was followed by a rampant anti-Russian hysteria reminiscent of the macabre times of McCarthyism, according to RIA Novosti political analyst Vladimir Ardayev. — RT (@RT_com) 7 июля 2017 г. He recalled that the FBI and the intelligence committees of both chambers of Congress are currently investigating the alleged "connections" of the Trump team with the Kremlin and the so-called "Russian influence" on US elections. Russia has repeatedly denied accusations of trying to influence elections in different countries, with the Russian President's press secretary Dmitry Peskov calling them "absolutely unsubstantiated." Meanwhile, the mainstream US press continues to publish new "revelations" based on unconfirmed information from anonymous sources, Ardayev said. He added that in that situation, Trump failed to deliver on his promises to abolish anti-Russian sanctions and begin a dialogue with the Kremlin. Both Moscow and Washington recognize that the current bilateral relations have been at their lowest point since the Cold War. That is why the first personal meeting between the two leaders is of special importance, according to Russian presidential aide Yury Ushakov. "This meeting is really important, with everyone looking forward to it. The presidents held four telephone conversations, but this, of course, is not enough given that bilateral relations are now in fact at a zero point," he said, adding that the meeting is "of paramount importance" to improving bilateral ties and ensuring international security. Speaking to Sputnik, Dmitry Abzalov, head of the Moscow-based Center for Strategic Communications, a think tank, remained downbeat about any breakthroughs during the talks, but said 80 percent of the effect of this meeting is the very fact that it will take place. "The fact that the talks between Putin and Trump will finally occur can add significantly to stabilizing the international situation. The bulk of the agreements clinched during the talks are expected to be related to Syria, the main issue of mutual interest between Russia and the United States. On the other hand, it would be naive to expect the signing of breakthrough documents that will drastically change the situation," Abzalov said. He was echoed by Richard Weitz, head of the Center for Political and Military Analysis at the Hudson Institute who participates in Moscow's Valdai International Discussion Club. — The Hill (@thehill) 7 июля 2017 г. He said that although both presidents are trying to improve bilateral relations and shun criticizing each other, they actually did not announce a full-fledged agenda of their meeting. In this regard, Weitz referred to the absence of an agreement on arms control, the ongoing conflicts in Syria, Ukraine and Georgia as well as the complicated situation on the Korean Peninsula and Trump's failure to annul the anti-Russian sanctions. According to Dmitry Suslov, programming director of the Valdai International Discussion Club, "the main thing is that following the results of the Putin-Trump meeting, the [bilateral] talks at the level of deputy foreign ministers may resume discussing the difficulties of Russian-American relations." "The sides will launch a dialogue on the issues of strategic stability, related in particular to the fate of the Intermediate-Range Nuclear Forces (INF) Treaty and the Strategic Arms Reduction Treaty (START III)," Suslov said. He added that "the development of a new concept of strategic stability remains the main sphere of Russian-American relations and the main added value that these ties give to the world." — USA TODAY (@USATODAY) 7 июля 2017 г. "Also, it is important for Russia and the United States to launch a dialogue on Syria during the Putin-Trump talks. It will help the sides differentiate areas of responsibility in Syria since without doing so, it is impossible to work effectively in order to destroy Daesh and radical terrorists in the Middle East," Suslov said. Dmitry Abzalov, in turn, believes that the presidential-level meeting may open the way to unfreezing a wide range of both bilateral and multilateral negotiation processes. — The Boston Globe (@BostonGlobe) 7 июля 2017 г. He recalled that there are a number of ministerial and government-level whose activities were hampered by the lack of high-level talks and ongoing pressure on Trump. "Now that all the investigations related to the Trump administration's 'Russian ties' have come to a standstill, the scandal with the dismissal of former FBI director James Comey has also subsided. Trump may use this window of opportunity to make it clear that the dialogue with Russia meets the national interests of the United States," Abzalov said. Richard Weitz, for his part, argued that both presidents will most likely make some general statements about bilateral cooperation, in particular concerning the fight against terrorism, without elaborating on the topic. He recalled that in the United States, Trump is under serious pressure to take a tough stance on Russia and that most of the Congressmen, Washington's key NATO allies and even some of Trump's key cabinet members are skeptical of the hopes for the Russian-American reconciliation promised by Trump during his election campaign. Meanwhile, Abzalov said that the fact that the Russian-US relations were shifted to a level of dialogue between the two presidents can counter-balance the hostile activity that Washington recently conducted against Moscow. More importantly, the Putin-Trump meeting will give a positive signal to the whole world, according to him. "Even though the meeting will see the conclusion of just framework agreements, the main thing that this meeting can help the leaders of the two nuclear countries capable of completely destroying each other demonstrate their ability to reach a consensus against the backdrop of the erosion of tools that worked after the Second World War. This gesture will be an attempt to eliminate the turbulence that exists in the modern-day world," Abzalov concluded.